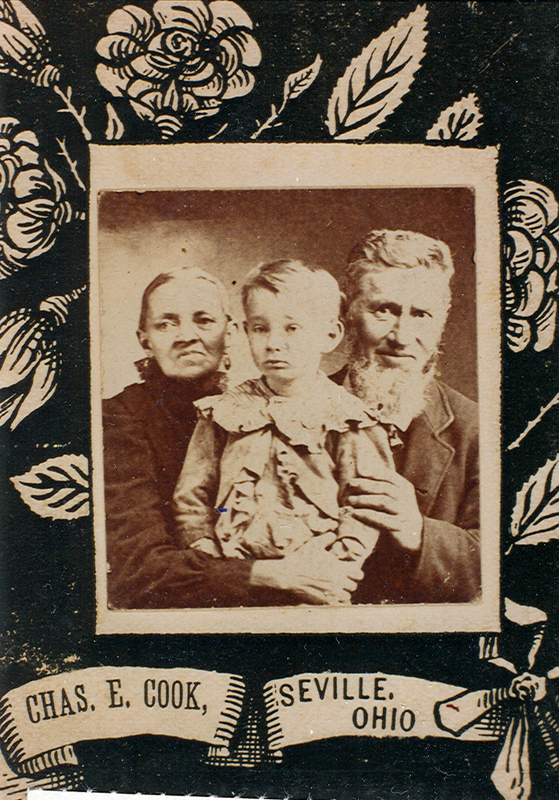 In 2011 I published a book, The Mark Family Story, that included my Gruissy roots. 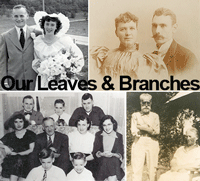 When I finished it I moved on to other branches of the family. 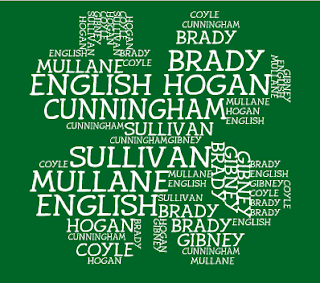 Recently I have gone back to look at some of my Gruissy research notes & I did some searching on Ancestry. As we know, new records are always being added. I was happily surprised to find this record of Christian's arrival in the USA. Previously I had found him in Ohio in 1837. Now I know the he arrived two years before that. I wonder how they traveled from Switzerland to France; what led Christian to Ohio and how he traveled from New York to Ohio. Every discovery leads to more questions. 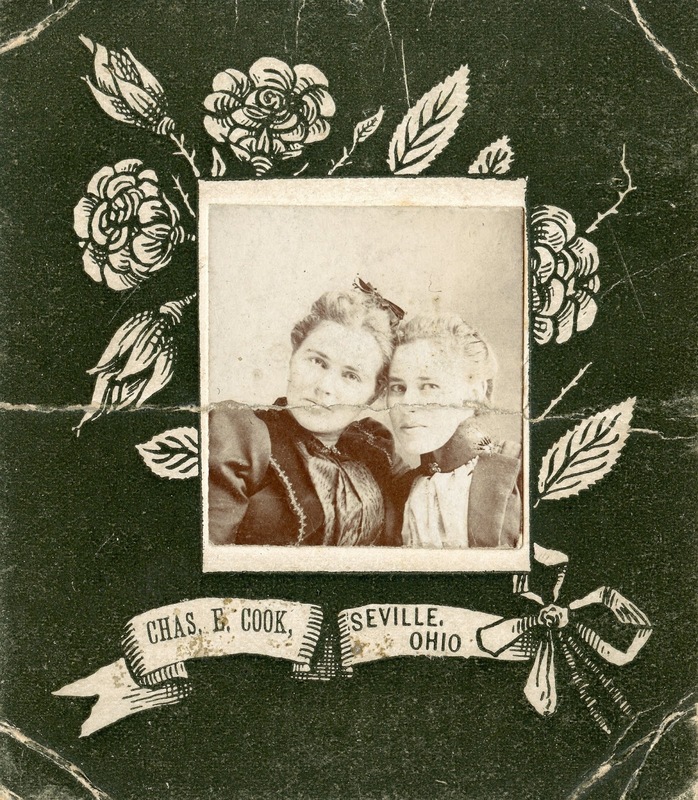 This record also shows two daughters I had not previously found, Elisabeth and Barbara. Lesson to myself: Remember to go back and check for new information! Source: New York Passenger Lists, 1820-1957; 25 May 1835, the Rhode Island; digital image, Ancestry (ancestry.com: March 2018) Christian Grussi. I have had this photograph for some time. I like the framework and the photographer's information. Augustus is my 2nd great grandfather. My paternal grandmother, Ivy Regina Mark Brown, vaguely remembered seeing him as a little girl. She said he was friendly. Recently (see previous post) a cousin contacted me. Carol Morrison Moser had read my blog & reached out to me with photographs and family information. 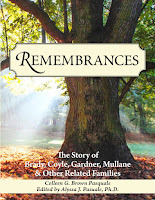 Carole is a descendant of Augustus and his first wife, Mary Everett. I am a descendant of Augustus' second wife, Esther Barbara Wolf. One of the photos Carole shared is below. Augustus & Esther had 5 children. Only these two lived to adulthood. Look at the two photographs! They must have been taken the same day. They show Augustus & Esther, their two daughters and their grandson. These photographs have been separated for many years and now, due to Carole, they are reunited. This is just one of many advantages of meeting cousins! A New Cousin Found Me! Recently I received an email from a New Cousin! 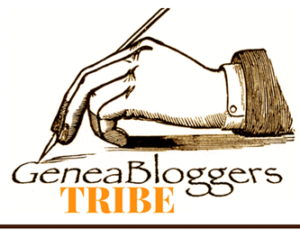 Carole wrote, “Colleen, your blog is wonderful!! Augustus Ceaser Gruissy is also my Great Grandfather.” She had read my blog and, saw my connection to the Gruissy family and explained her relationship to the family. Augustus Ceaser Gruissy is our common 2nd great grandfather. 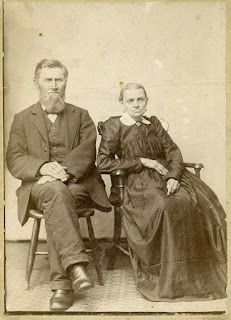 Our great grandfather married three times. 1. He married Mary Everett on 21 February 1861 in Wayne Co., OH. They had four daughters. 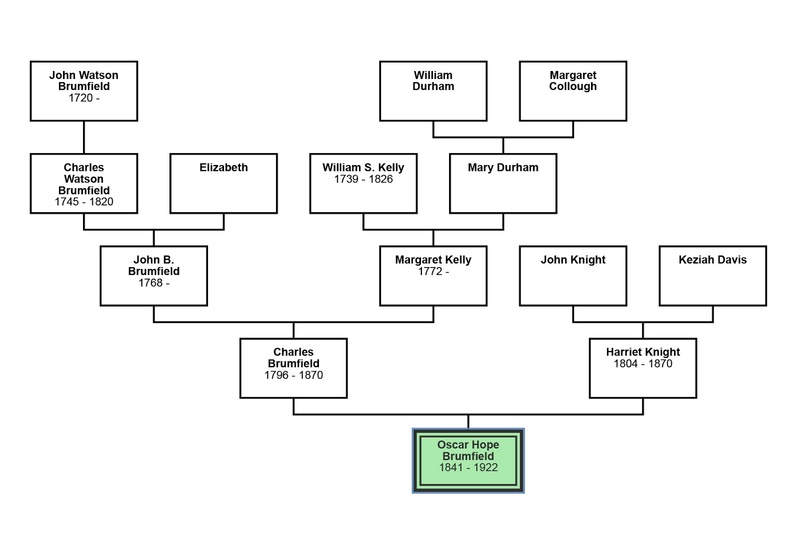 Carole’s family line descends from Augustus & Mary and their daughter Margaret Jane Gruissy Morrison. We believed Augustus & Mary were divorced. 2. 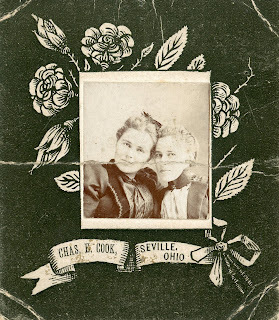 He married Esther Barbara Wolf on 6 Dec 1868 in Stark Co., OH. They had five children. Three died young and two daughters grew to adulthood. 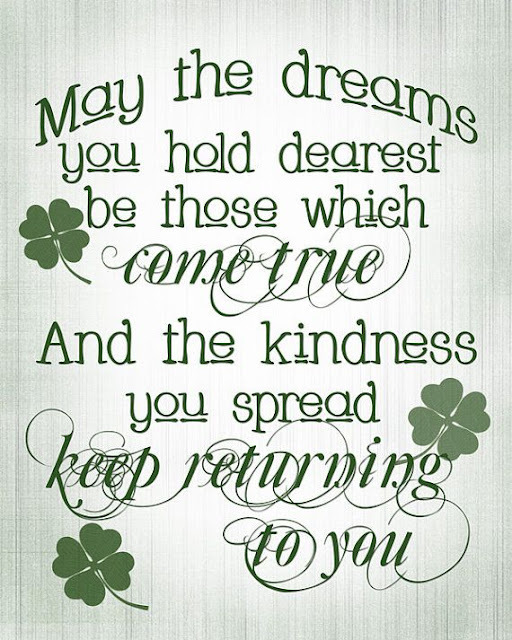 My line descends from Augustus & Esther and their daughter, Nancy Regina Gruissy Mark. Esther died 11 August 1906. 3. He married Ellen J. Stoner 8 January 1908. She had been twice widowed before the marriage. They had no children together. Family stories say she heard that Augustus was going to leave her out of his will & she killed him with an axe. A great story that we have not proved. Since our initial email Carole & I have been sending messages back & forth. We each have photos and information that the other does not have. We also have some photos that are the same. 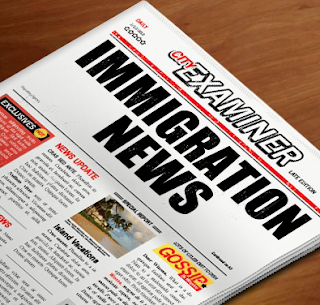 Joining in on the excitement of expanding our family’s history is another cousin who contacted me a few years ago. Sharon is also a descendant of Augustus & Mary Everett and their daughter Margaret Jane Gruissy Morrison. Carole and Sharon did not know each other before our recent discoveries. Now, the three of us are having a wonderful time learning about each other & about our family. This has inspired me to look again at my research & to update my knowledge. 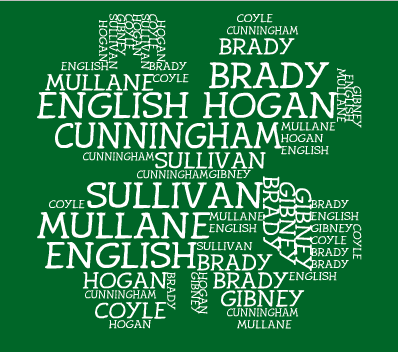 I will be writing about the Gruissy family in several blog posts. Of course, this will intrude on my current research of my Brown branches but it is a fun intrusion and I am often pulled in various directions at the same time. By the way, if you have a copy of 'The Mark Family Story' be warned that we are altering the Gruissy Chapter with this exchange of information. Perhaps there will have to be a revised edition. ha! In this short history I endeavor to give a truthful account of the part played by the Mississippi Territory and its soldiery in the Campaign against the British and the Creek Nation during the War of 1812. This is a reprint of a publication by the Mississippi Historical Society written in 1921. This small book begins with a description of the Mississippi Territory prior to the war. The larger towns, their leadership and the military units are discussed. The history of the hostilities with the Creek Nation is detailed. Then the author leads us through the events of the war in interesting details. I must admit to having skimmed those details and hope to return to read the entire text soon. The history of the war is followed by ‘Rolls of Mississippi Commands in the War of 1812’ which fills almost 80 pages of names. I have combed through those names and found family members in Nixon’s Regiment from our Brown and Dillon branches. If you have soldiers who fought in this conflict or if you are interested in the war, this book will be of interest to you. Find a copy, sit back and read. This short newspaper clipping was written by someone with a tender touch of their pen. 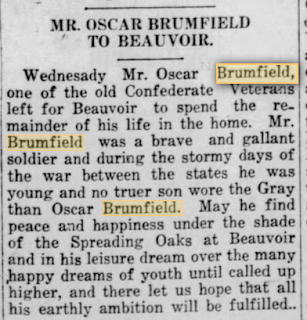 First, it mentions Oscar's Civil War service, which I had found in other sources. He is described as a "brave and gallant soldier." But the main purpose of this notice is to tell readers that Oscar has been moved to a home where he will live out the days remaining in his life. [This would be three years later.] He is wished "peace and happiness" until he is "called up higher." In 1919 the author of this article knew how to say Oscar would not be recovering; that he would live out his remaining time in this facility; certainly not an easy fact to report. 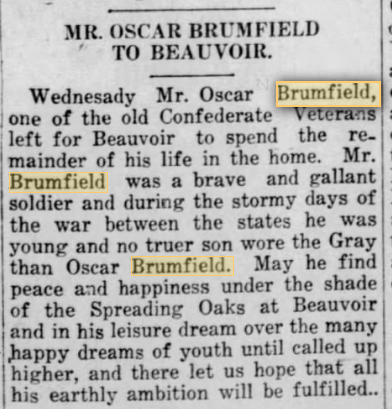 Mr. Oscar Brumfield to Beauvior, (Yazoo City, MS: The Yazoo Herald, 7 March 1919)1; digital image, Newspapers.com: accessed February 2018. Four Generations in One Source! A Brumfield Bonanza!